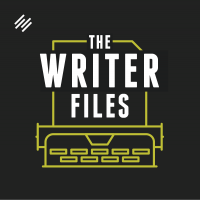 Acclaimed horror author — Jonathan Janz — stopped by this week to talk about his passions, his workmanlike process as a writer, and the skeletons in his closet. In addition to being a multi-genre author, Jonathan leads a double life as a full-time high school educator and family man. He is the author of nine novels and recently signed an 11-book deal to offer limited-run, collector’s editions of his books. Jonathan’s tenth novel — Children of the Dark — lands March 15th, 2016, and it has been likened by critics to Stephen King’s work. Join us for this two-part interview. If you missed the first half you can find it here. Kelton, another great interview! I look forward to new episodes every week. Jonathan, I became a huge fan listening to these two episodes. Especially liked the Lincoln quote and how getting BIC is a huge determination of success in not just writing but many pursuits. I look forward to checking out your books.